The Palermo of Melinda Zacco is a city with qualities that almost beg to be written about. Its role as protagonist has always exercised an irresistible fascination. She creates a web of history, stories and legends which takes the reader through a Palermo often unknown even by those who live there. 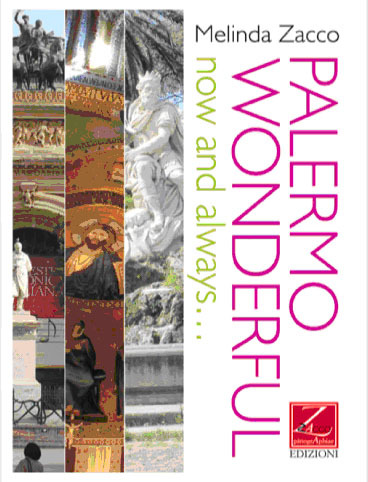 In this way we discover not only the postcard Palermo but also a city that still conserves, despite destruction on a grand scale, noble palaces and art treasures that are unique in the world. Investigating the networks of memory helps us to recover a historical and artistic heritage that many have forgotten: the Phoenicians, Greeks, Romans, Byzantines, Arabs, Normans, Spanish and Bourbons; the arrival of the “Thousand” and the Unification of Italy; the epoch of the Florio and Whittaker families; and the sad period of blood caused by the Great War as well as the horror of the Second World War that destroyed with its bombardments a large part of the city that still today has not always been rebuilt.